The very wet title page of Swedish Letter Rates to Foreign Destinations 1855-1895 in March 2016. In March 2016, a roof leak caused by construction activity damaged items in the APRL’s rare book room. Through quick action and assistance from Penn State University Libraries, we were able to minimize the damage. We sent five books to Penn State to be frozen and then dried, and these have now been returned to us. All five were extremely wet in March. They have been safely dried, and Penn State’s book conservator gave each one special treatment. The discoloration on this book is from mildew. Copy number 8 of 50 of Carroll Chase’s The 3c Stamp of the United States 1851–1857 Issue, revised deluxe edition, published in 1942 by Tatham Stamp & Coin Company, was discovered to have been previously water damaged, probably before it came into the APRL collection, and had mildew. 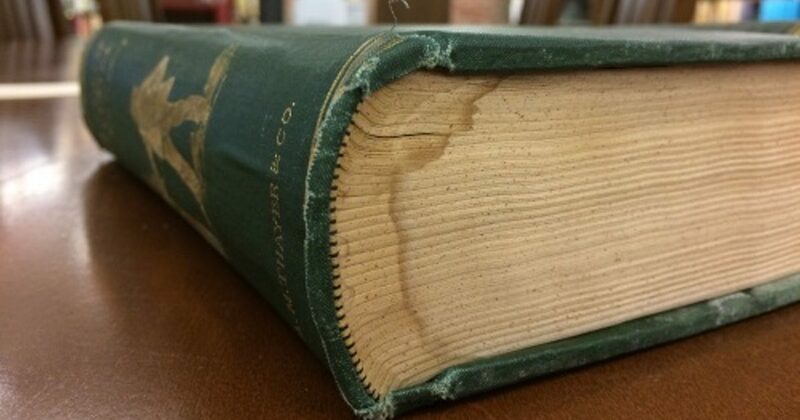 Mildew is very dangerous for libraries because it damages books, and can spread from one book to another. 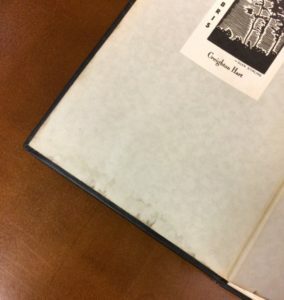 After drying the book, the conservator carefully separated the pages, and cleaned the mildew using an alcohol solution. 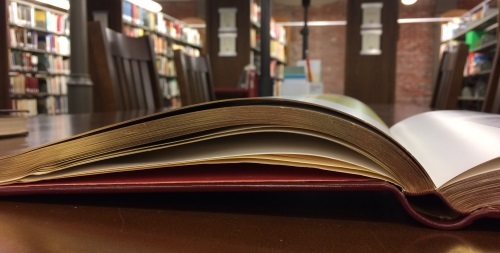 The book’s covers are warped, and the pages are wrinkled and in a few places have not separated entirely cleanly, but it is intact, usable, and safe to return to the rare book room. The cover of Hawaiian Numerals has been discolored and warped by water damage. Two copies of Marshall Cushing’s The Story of Our Post-Office, published in 1893, were water damaged. Both have water stains and a few wrinkles, but the pages were successfully separated and flattened after drying. 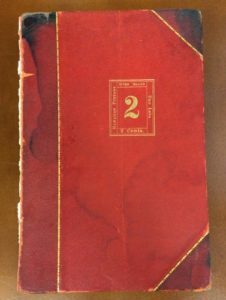 Hawaiian Numerals, published by Henry J. Crocker in 1909, is in relatively good shape aside from a little discoloration, but the binding has been practically destroyed. Luckily, the APRL has a second copy with an intact binding. 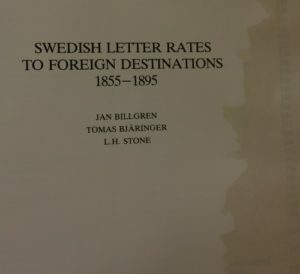 Swedish Letter Rates to Foreign Destinations 1855–1895, published in a limited edition of 200 in Sweden in 1986, came through in the best shape of the five books. The first few pages show a little discoloration, but the interior pages show almost no trace of the water damage. Swedish Letter Rates to Foreign Destinations 1855-1895 shows only very minor wrinkling in the pages after drying. Compare to the wet photo at the beginning of this post!